Starfish was retained by Visit Chichester to produce the printed Visitor Guide for 2019. Building on the success of last year’s Guide, this year it was increased form A5 to A4 enabling a stronger, bolder design throughout. 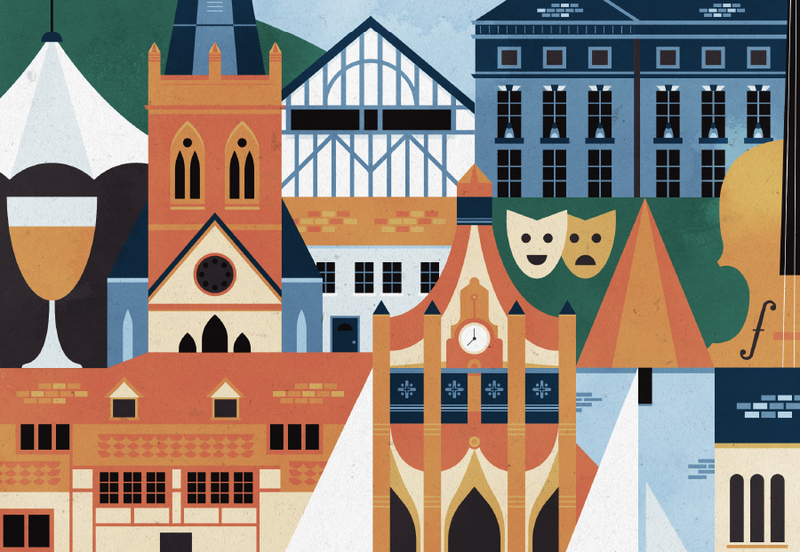 The front cover illustration represents, not just landmarks from Chichester and the surrounding areas of Petworth, Midhurst and Selsey, but also illustrates themes which form the content of the brochure such as music, culture and eating out. As well as the design and print, Starfish was also responsible for the advert sales and management.